"PLEASE DOWNLOAD PDF FILE FOR MORE DETAILS"
The position we are filling is for Pastor (Teaching Elder) at First Presbyterian Church, Newport, RI. 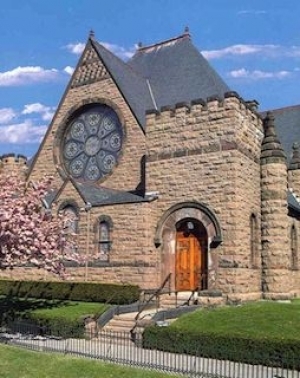 FPC Newport seeks a full-time pastor who loves the Lord Jesus Christ, serves and glorifies God, preaches in a scripturally sound, Bible-based and expository manner, teaches with humility, and is a leader who motivates and inspires the congregation to engage with scripture, make disciples, and serve with joy. The church's management responsibilities are delegated to Session Committees whose duties are described in the church's Bylaws, Policies, and Procedures (BPP) manual. These committees, comprised of two elders in active service and congregational members, meet regularly each month. The standing committees are Worship, Christian Education, Inner Life, Finance and Personnel, Outreach, and Buildings and Grounds. The pastor is head of church staff and is a member of the ECO Presbytery of the Northeast Coast (not of the local church) and is therefore primarily accountable to that body. He/She is also accountable to the Ruling Elders of the Church, the Session, even as they are accountable to the Pastor. Ultimately the Pastor is accountable to the Lord Jesus Christ, who is the Head of the Church and who called the Pastor into the ministry. Church staff members provide support to the respective committees, but staff supervision is the pastor's responsibility. Our church is located on Broadway, the main thoroughfare leading into downtown Newport. To the east the population is comprised primarily of middle to upper class Caucasian couples of fifty years and beyond and Generation Y singles. To the west the population consists of a diverse mix of ethnic communities at varying socio-economic and age levels. Scattered among them is a college age population representing those attending nearby universities. Few in our congregation live close to the church, most drive anywhere from 10 minutes to an hour to attend worship. We have strong ties to the military and their families due to military related industries in the area, members who have retired from the military, and the large Naval Education and Training Center in Newport, which serves to enhance the diversity of the area and our congregation. Six years or more as pastor or combination of pastor and associate pastor. Ordained by ECO.